Once more into the breach, dear friends. With the #AusPol bus commencing its usual route, we're curious to see who was thrown underneath the wheels. Feel that foul wind blowing? It’s enabled your first step into the political blunderdome for 2017. A traipse to that place where those trapped within wield barbed words, pointed fingers, arms crossed perpendicular to protect the only weak part of their scaly exoskeleton: their sweet, brittle necks. As shortcoming meets shortcoming, rhetoric clashes against rhetoric, the vicious fiction looses the shale from the arena floor, obscuring the combatants from (public) view. The clock strikes four, and the time for questions is suspended; as the daggers drawn become sheathed, the question remains: who won? 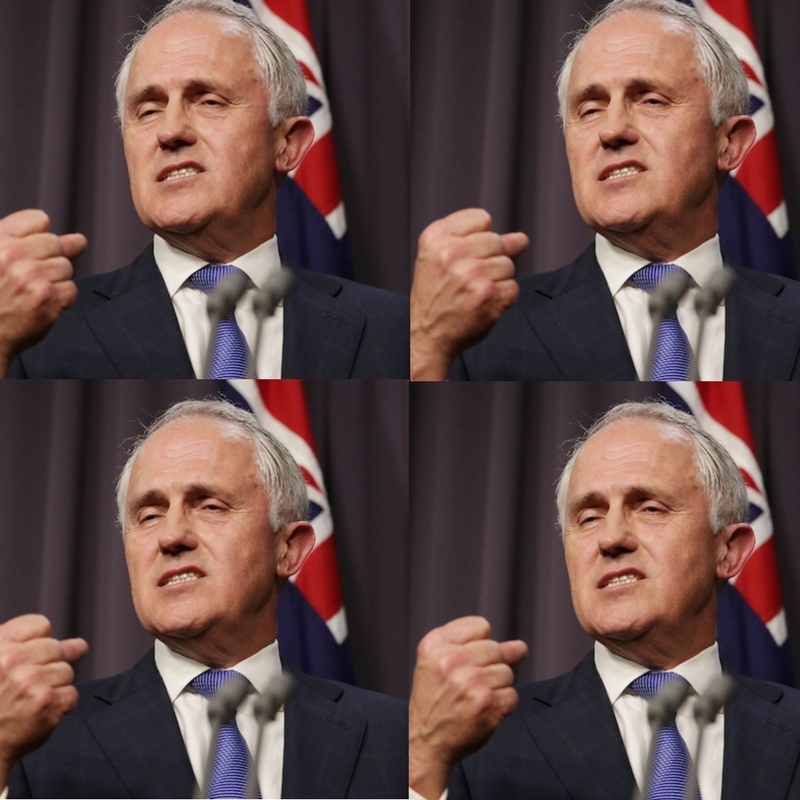 Malcolm Turnbull: for delegating blame and inspiring middle managers nationwide. Sometimes leadership is not being there. Remaining conspicuously absent, trusting your underlings to get their hands bloody and wash them afterwards. As Churchill did with the Blitz, and Douglas Haig did on the Western Front, Malcolm Turnbull did with the pincer attack of the hashtags #NotMyDebt and #LeyBuy for he knew that it was time for the foot soldiers to get shelled. It’s management 101, and it’s why managers have doors…to close them. Yes, he’s the head of the party, and the buck should stop, blah blah blah, but as it stands, Malcolm, due to his Larry Letdown stigma, tends to be a bit of a default magnet for our disappointment; a six-foot tall pale fridge double-door dotted with our vibrant keepsakes of him making us exhale in gruff platitude. For example, every anti-Turnbull piece sports the below image. It’s become valuable in its pointlessness, like old mate’s canned soup. Pathos: for showing the “Boss” who’s boss. Slightly cheating here, but much like a Kebab van at 2am, it is just too good to pass up. For those who have smartly been keeping abreast of the American political clusterboink, let me reheat the falafel: Blue-collared Americana prophet Bruce Springsteen doesn’t like Donald Trump. He confided his feels to another institution stuck in the past, Rolling Stone, saying of Trump “…the republic is under siege by a moron, basically. The whole thing is tragic. Without overstating it, it’s a tragedy for our democracy.” Ever the elastic diplomat, Trump fired back by hiring America’s number one Springsteen cover band to play his inauguration. It’s wonderful as we’re not sure who won. It’s like a double insult. Trump misses out on Springsteen, so he gets the mob who are humbly paid to pretend to be him. Moreover, Bruce keeps his political pride but loses his artistic pride as his songs will be thumped out regardless. Something for everyone. Another great aspect is Trump’s supporters, the so-called redneck undesirables, can be ever closer to the White House by having the Springsteen cover band cover their shotgun weddings! Is the 13th of January too early to call “peak 2017”? David Leyonhjelm: for creating an entirely new voter base to unify against him. Allow me to make a Leyonhjelmesque assumption here, that those in the child-care are not the most political bunch – until this week. Everyone’s favourite gun promotin’, swear jar shattering, headline producing machine, David Leyonhjelm, reduced the importance of child care down to a runny nose. While it may have been blown out of the calm waters of context, let us not forget that child care is important, and for anyone who has tried to enrol their kids in that system, know that they are a bunch that do what good waffles do, and stick together. Why would you vote for the dude who feels your existence is pointless? For someone who runs a minor party, yeaahhhh not good, even if you meant to highlight something else. Unless Leyonhjlem is playing antagonist version of Pokemon with the electorate: “Gotta irk ’em all”? Centrelink: for asking too much of those under their heel. Brasstacks: Centrelink is a broken system run by those constructed solely of pork pies and unreasonable expectations. I get it; if people owe them money, it should be paid back, however, I don’t believe the unemployed should be forced to travel backwards in time in order to settle a debt. Will Centrelink count the R&D process as work? Maybe the unemployed will go back in time to murder the mother of Alan Tudge? It worked for Anhold. One Nation candidate Peter Rodgers: for filling the nutcase void in Pauline’s party. Like it or not, One Nation is becoming mainstream, and moderate. Pauline has done a wonderful job in keeping discrimination relatable. The broccoli of the political stew. You eat it because it comes with the rest of the meal. Nummy nummy num nums. However, a political week after she banished a bigot candidate to the nether realms, another has taken her place. Labor MP Anne Aly, for her usage of a paper shredder. Hilarious, yet petty. 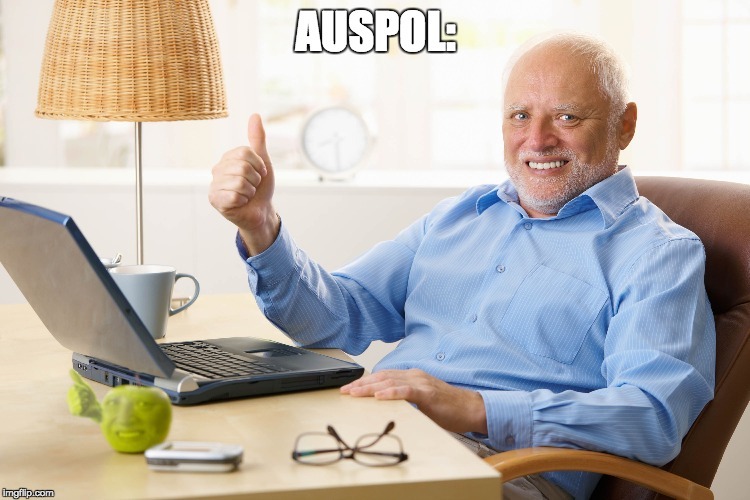 Upon receiving the Institute of Public Affairs’ report on 18C (remember that? ), Labor MP Anne Aly decided to send it straight to the shredder, before turning it into a GIF.